Foreign direct investment, or FDI for short, has become a cornerstone for both governments and corporations. By acquiring a controlling interest in foreign assets, corporations can quickly acquire new products and technologies, as well as sell their existing products to new markets. And by encouraging foreign direct investment, governments can create jobs and improve economic growth. For international investors, foreign direct investment plays an extremely important role. The growth of emerging markets has been due in large part to incoming foreign direct investment. At the same time, companies investing abroad can realize higher growth rates and diversify their income, which creates opportunities for investors. It's hard to overstate the macroeconomic importance of foreign direct investment with more than $1 trillion worth of capital changing hands in 2010 alone. While these funds usually improve a host country, there are several downsides that may also come into play. That said, sustainable levels of incoming foreign direct investment are often seen as a healthy economic signal to international investors. Economic Growth. Countries receiving foreign direct investment often experience higher economic growth by opening it up to new markets, as seen in many emerging economies. Job Creation & Employment. Most foreign direct investment is designed to create new businesses in the host country, which usually translates to job creation and higher wages. Technology Transfer. Foreign direct investment often introduces world-class technologies and technical expertise to developing countries. Strategic Industries. Many countries protect certain strategic industries, like defense, from foreign direct investment to maintain control from foreign entities. Long-term Capital Movement. 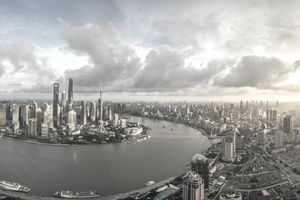 Some critics argue that once a foreign investment becomes profitable, capital really begins to flow out of the host country and to the investor's country. Disruption of Local Industry. There is some concern that foreign direct investment may disrupt local industry and economies by attracting the best workers and creating income disparity. For international investors, seeking out investments in countries with sustainable and growing foreign direct investment is a popular strategy. These levels can be found on websites like the United Nations Conference on Trade and Development (UNCTAD). Foreign direct investment also plays an important role on a microeconomic level. Domestic companies that expand into foreign markets can realize significant growth. Moreover, exposure to more than one country also enhances diversification. On the flip side, foreign companies operating in emerging markets can be targets for foreign direct investments themselves, creating opportunities for investors. One great example of a successful foreign direct investment is Suzuki Motor Company's joint venture in India through Maruti Suzuki India Limited. Since the joint venture was created, the company has become a market leader in India's automobile industry. And Suzuki's majority ownership stake has since provided it with billions in profits over the years. Be Wary of Regulations. Some countries regulate how much control foreign corporations and investors can have in their domestic companies. For instance, China's joint ventures with foreign companies are notorious for their structural complexity. Be Aware of the Risks. Mining and energy joint ventures, in particular, are very popular in somewhat unstable regions in the Americas and Africa. Investors should be aware of the risk of nationalization, political conflicts and other potential problems that may arise. Diversification is Best. Companies that are involved in foreign direct investment across a number of different regions around the world offer greater diversification. Foreign direct investment can be used by international investors on both a macro and microeconomic level. Countries with sustainable and growing levels of foreign direct investment are preferable, while companies investing abroad can often benefit from higher growth rates. Foreign direct investment has many drawbacks, despite its overall effectiveness in promoting growth. On a macro level, it can cause problems for a country's domestic labor markets and drain capital in the long-run. On a micro level, the investments have several risks that should be carefully considered. Are You Eligible for a Foreign Tax Credit? What Was the Asian Financial Crisis? Passive vs. Active: What Type of International Funds Should You Buy?